The Grand Canyon has always been mainly a destination area, not an area of residence. As such, the canyon is strongly intertwined with the surrounding towns and establishments. Many of the closest towns serve as tribal headquarters for surrounding native populations. Peach Springs is found on the north-western rim of the Grand Canyon. It is the closest town to the trailhead leading to Supai. Originally built on the AT&SF Railway and on Route 66. After I-40 was opened, travelers opted for the new, faster option, hurting the Peach Springs economy significantly. It still survives as a tourist-focused area and as a tribal headquarters but has never returned to its former glory. Seligman was another northwestern town bypassed by I-40. Originally named Prescott Junction, this area connected the AT&SF Railway with the Arizona Central Railway Co. feeder line that led to Prescott. It was also a stop on the old Beale Wagon Road and the Mojave Road. The Mojave Road was originally a Native American trail intercepted by Spanish settlers in the 1500s. Francisco Garces, one of the first settlers to “discover” the Grand Canyon, used this road. The terrain is flat making it the perfect location for a switching yard. The railroad business still feeds the Seligman economy, though passenger trains have not stopped in Seligman since 1984. 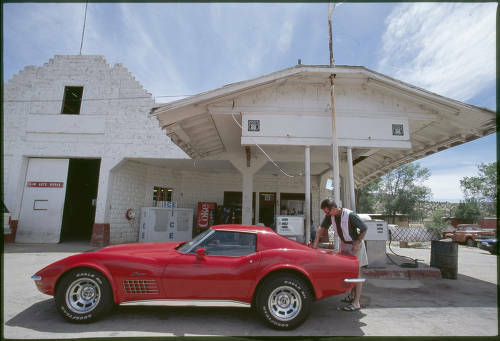 Seligman also had a Harvey House named the “Havasu House”. It operated from 1905-1954 and was demolished in 2008. Tusayan is an incorporated town 2 miles from the south entrance of the park. Officially, the town is only 0.25 square miles, making it the smallest recognized town in Arizona. The Grand Canyon National Park Airport is located in Tusayan and is the fourth busiest airport in Arizona. It is reached either by Highway 64 from Williams or Highway 180 from Flagstaff. The town is essentially only sustained through tourism and resort attractions which thrive because of their proximity to the park. Kingman is a town to the southwest of the Grand Canyon. It is another stop on Beale’s Wagon Road. 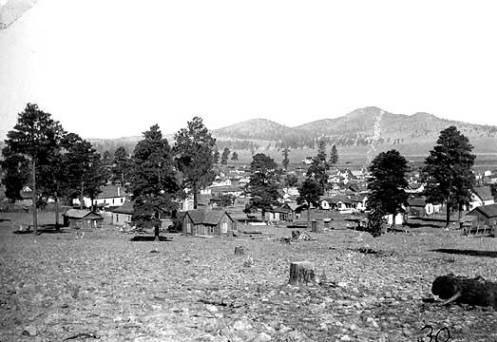 It was another railroad town, situated by the Santa Fe Railroad near Beale’s Springs. Kingman is named after a railroad surveyor named Lewis Kingman who supervised the construction of the railway from Winslow to the present day namesake. 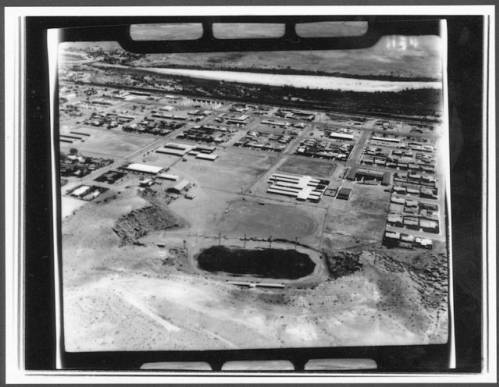 Private industrial businesses slowly came to Kingman and grew the city, such as an auto proving ground, a private prison, the Duval copper mine, the Mohave Generating Station, a General Cable plant, and the Kingman Airfield reclamation site. Page lies to the north of the canyon, closer to Glen Canyon. It was created to sustain a community of builders for the Glen Canyon Dam in 1957. The land was exchanged with the Navajo Nation and became an incorporated town after the completion of the dam. Its economy is fueled by the hydroelectric generators of the dam and by tourism to the Glen Canyon National Recreation Area/Lake Powell. Horseshoe Bend and Antelope Canyon are within a few miles radius of Page. Williams is historically known as the “Gateway to the Grand Canyon” as it is the southern terminus for the Grand Canyon Railway. It also falls along Route 66 and I-40. It has remained mainly a tourist town over the years. It was the last town to be bypassed by I-40, eventually settling a lawsuit by having the highway include 3 exits to Williams. It is named after a notable trapper and mountain man “Old Bill Williams”. The Grand Canyon Railway has many special events like the Polar Express train in the winter and frequent “train robberies” by old west actors. Holbrook was another railroad town that is now located in Navajo County. The town was named after the first A&P chief engineer. It was occupied by a variety of tribes since the Anasazi. This was also on Beale’s Wagon Road. The railroad was supplemented by Mormon settlers and eventually grew to be a cow town after the railroad sold a million acres to the Aztec Land and Cattle Company (More on them here). Holbrook was the site for some of the worst shootouts in the Pleasant Valley War, the deadliest range war in US history. It began as a feud between the Graham and Tewksbury families, spread to include many parties involved with the cattle trade, and ended with almost all males from both families dead. In Holbrook the events culminated in the Holbrook Shootout, where Commodore Perry Owens attempted to singlehandedly arrest a horse thief named Andy Blevins. A shootout followed. All of Blevins’ party except a brother were killed and Owens came out unscathed, making him a western legend. Much of the Aztec Land and Cattle Co. (The Hashknife Outfit) land was sold to the Babbitt brothers afterwards and the railroad station was taken over by the Santa Fe. Today the town focuses mainly on tourism, due to their proximity to the Petrified Forest National Monument. Winslow is another town in Navajo County, close to Holbrook. Though not proven, it is thought that the town is named either after Edward F Winslow, who owned half of the A&P Railway, or Tom Winslow, a local prospector. 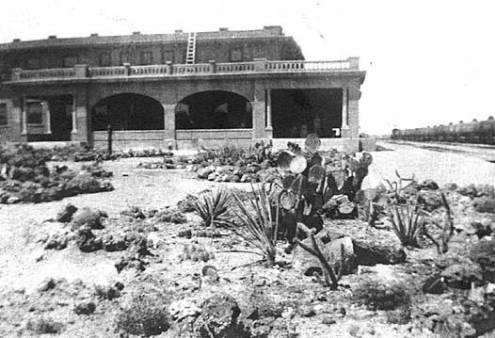 La Posada, the final Harvey House, was built in Winslow in 1930. It was in business until 1957. 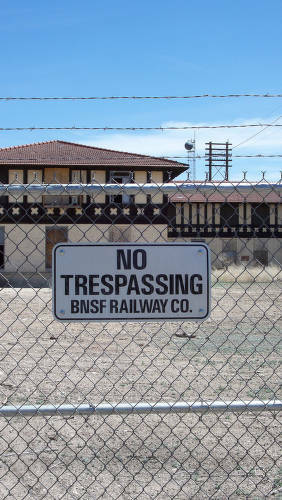 The Santa Fe Railway took over the building for office space until 1994. Upon hearing of demolition plans, it was privately purchased and now operates as a hotel. The town remained an important stop on the AT&SF Railway. The Painted Desert and Meteor Crater are nearby attractions. Winslow gained notoriety after being mentioned in the Eagles song “Take it Easy”. The town of Radiator Springs from the Pixar movie “Cars” is based on small settlements across the midwest, taking unique characteristics of various towns including ones surrounding the canyon. 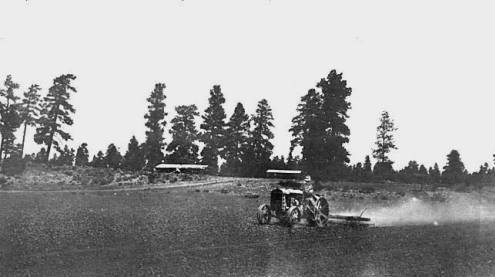 Reed Homestead - Grand Canyon - 1919 (now Tusayan) - Mark Metzger on tractor. Aerial of Holbrook Arizona. Hopi Drive (Route 66) is at far back.